About a couple of weeks ago I finished working on the design of the CompactLaw Community website, which aims to connect clients to lawyers, and vice versa, anywhere in the World in an easy and straightforward way. It’s an extension of CompactLaw.co.uk who have been a client since 2005. 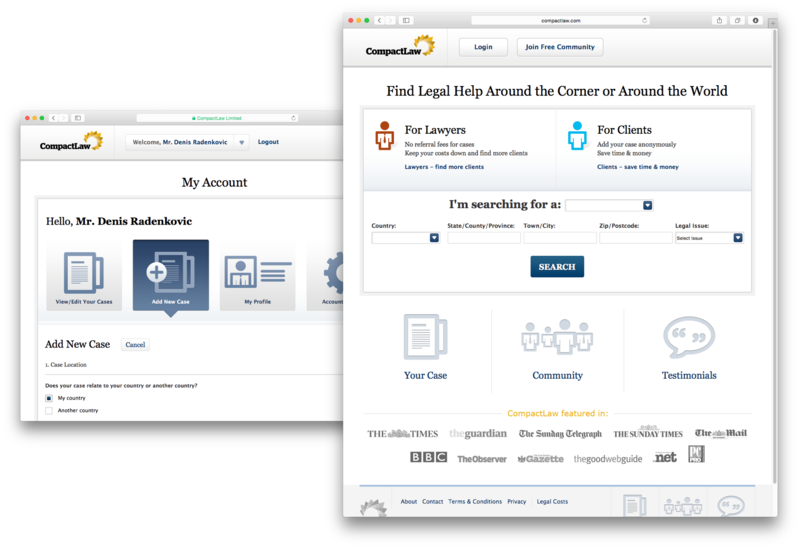 The website is now being developed and will be located at CompactLaw.com.